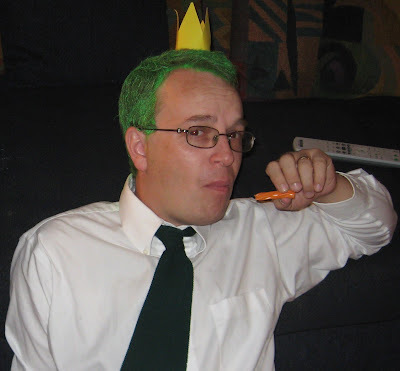 This is me, taking it easy after a long night of distributing candy to the neighborhood children. In between answering the door, I was watching the original 1972 The Night Stalker, which is why you can see the DVD remote control in the background on my couch. I hope everyone else had as pleasant a Halloween as I did. Fall is my favorite season by a long shot. I prefer the cooler temperatures compared to Summer, the relative lack of humidity, and of course the colors of the leaves. In general, Fall makes me happy. When I step outside my house in October and early November, I often find myself smiling without intending to do so. The entire ambiance of the season triggers something inside of me that brings me joy and that's why I always look forward to these months more than any in the year. When you think about it, though, it's an odd thing. Fall is a time when everything is dying. The flowers are wilting, the trees are losing their leaves, and you can feel the chill of Winter coming. 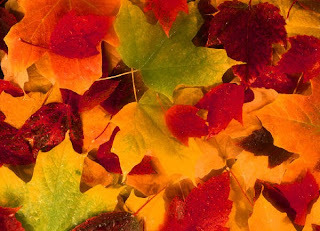 For me, though, what's important is that, unlike Winter, Fall isn't a "dead" season. It may be a "dying" one, but there's still life present and quite often that life is at its most beautiful. I realize not everyone may share my opinion, but then I prefer dusk to dawn in terms of beauty, so my opinion is probably off-center anyway. What does this have to do with RPGs? Nothing necessarily. However, I've noticed that many, if not most, pulp fantasy worlds have a strongly "autumnal" feeling to them. The best days of the world are over and "Winter" is coming. It's not here yet and there's a chance of a brief "Indian Summer" before the snows fall, but it is coming and there's nothing anyone can do to stop it. Howard's writing definitely has this quality, as does that of Lovecraft and Smith. Moorcock's stories exude this feeling, as do, at the opposite end of the spectrum, Tolkien's. One age is passing away and the new one that is dawning will be a lesser one, a "colder" one. My Dwimmermount campaign is set in a dying world, where the best -- and worst -- days are in the past. There are no great empires or impressive civic works projects. Instead, civilization clings to the decaying glories of the past, while Chaos lurks amidst the rubble. There's no general expectation of Ragnarok or Armageddon, but instead there's resignation and, in some quarters, ennui, about the inevitable decline to which Man's civilization is succumbing. Perhaps it's just indicative of how bizarrely my mind works, but I find that, against such a background, D&D make a great deal more sense. Most of the game's tropes and conceits work better if the presumed setting is "autumnal." I also find that the actions of the player characters, for good and for ill, take on a more satisfying -- and human -- significance in this context. I hope this makes some sense to someone other than myself. Thanks to everyone who took the time to send me birthday wishes yesterday. I was frankly overwhelmed by how many people took the time to drop me a note for the occasion. I also received a few gifts from unexpected quarters that I also appreciated, particularly since, at my age, I no longer expect gifts on my birthday. Most of my celebrating occurred last weekend rather than yesterday, but I did get to go out to dinner with my wife and children to mark the day. Much as I'd like to say that I "feel different" after reaching this milestone, I find that 40 is much like 30 (or 21 or 18 or 10, for that matter) -- yet another day I can be grateful for my undeservedly good life. Thanks again to everyone who contributed to it. Today is my birthday, so I'll be taking it comparatively easy. It's time to catch up on my backlog of email in a leisurely fashion, devote some attention to fun side projects, and generally reflect on a good and happy life. Regular posting resumes tomorrow. I see a light at the end of the tunnel, so please bear with me just a little longer. If you've sent me an email recently and I haven't replied, I will get round to it over the next few days. I'm nearly done with a few things that have been hanging over my head and, once done, I can return to being the attentive correspondent I usually am. I'm a huge fan of The Village of Hommlet. I consider it one of the most perfect low-level adventures ever written for any edition of D&D and have probably played it more times than I can recall. The original module was released in 1979, with a monochrome cover. That was the version my friend's older brother had, but the one I first owned was the 1981 one with Jeff Dee cover art. What's interesting is that, in the two years between the initial release and the change in the cover art, module T1's sequel, The Temple of Elemental Evil, was never released. This baffled and disappointed me, as I was used to TSR's comparatively rapid release schedule of other modules in a series and I was looking forward to seeing what greater evil threatened the good folk of Hommlet. In the years since, I've learned some of why it took six years for The Temple of Elemental Evil to be published, but, at the time, I couldn't imagine why it had taken so long. In the interim, I'd put together my own Temple and had some fun with it, but I assumed my own efforts would be a pale reflection of the "true" one -- once Gary Gygax got around to writing it. As it turned out, the published version of the Temple wasn't written by Gary Gygax, or rather it wasn't written solely by him. As I understand it, Gary created an outline for the module, which Frank Mentzer fleshed out and expanded upon. The result is a module that feels very inconsistent to me, with shifts in tone and content throughout. That's to be expected, of course, given its origins, but I think it detracts greatly from what should have been a terrific companion piece to The Village of Hommlet. 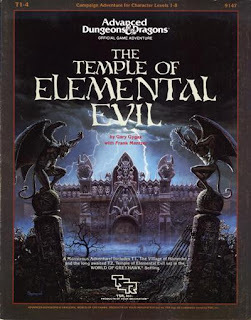 No published version of The Temple of Elemental Evil would have lived up to my expectations after so many years of waiting for it. Likewise, D&D itself -- and my relationship with it -- had changed considerably in the span of time it took for module T1-4 to appear. Whereas The Village of Hommlet was the product of an earlier, more "sandbox-y" age, the first of TSR's "super modules" was a product of a time when modules couldn't just present adventuring locales; they had to present stories as well. Now, The Temple of Elemental Evil is not Ravenloft or even Pharaoh, but neither is it Vault of the Drow. T1-4 is much more detailed and background-heavy an adventure than those of the Golden Age, filled with all sorts additions that both unnecessarily complicated its presentation and seemed at odds with what was implied in The Village of Hommlet. In short, it wasn't what I was expecting at all. None of this should be taken as a condemnation of the module, which I think holds up better than it ought to, given its various infelicities. Frank Mentzer made a very valiant effort at trying to be true to what came before while also taking into account changing sensibilities about what a D&D module should be. Goodness knows I used the Temple to good effect in my old campaign, although I changed many of its elements, eliminating things I felt weakened its premise and adding elements I expected to be there -- such as Lolth -- based on what we'd been told in module T1. T1-4 is, I think, a diamond in the rough, but there's a lot of carbon that needs to be shorn away before it can truly shine. On the current debate regarding its megadungeon status, I side with Joseph Bloch and say that, for both historical and stylistic reasons, The Temple of Elemental Evil does not qualify as a true megadungeon. Of course, I don't believe it was ever intended to be perceived as such, so this is no mark against it and I think viewing it according to this category only makes it look like more of a failure than it is. As I said, I think T1-4 is solid and workmanlike, but it's not a classic on par with most of the Gygaxian canon or even lesser TSR works from 1978-1981 period. It's an attempt to capture something of the feel of the older style of adventure module and conform it to the decadent dress of late 1e, a project that, in retrospect, holds no appeal for me, but I can certainly understand why those for whom the Hickman era or post-Unearthed Arcana AD&D were their introductions to the hobby would find it far more attractive than I do. Otherworld Miniatures is having their Third Birthday Sale. Between now and December 3, all miniatures are 20% off. Likewise, orders of £75.00 or more receive free worldwide shipping. Otherworld's minis are by far and away my favorites and, had I infinite resources, I'd probably be placing a big order with them right now. As it is, I'm still awfully tempted to do so, so perhaps some of you out there in the ether can pick up the slack for me and buy a few? Seriously, Otherworld does great work and I want to see them prosper for many years to come. What should come in the mail today but the latest installment in my Planet Stories subscription, The Ship of Ishtar by Abraham Merritt! Not only is it a complete and unabridged edition of this classic tale but it includes original illustrations by Virgil Finlay, probably my favorite artist from the period (and why can't I find a contemporary artist who illustrates in Finlay's style?). And an introduction by Tim Powers doesn't hurt either, come to think of it. It's been a long time since I've read The Ship of Ishtar, so it'll be a pleasure to have the opportunity to do so again in the near future. Perfect timing too, since I just finished my latest Poul Anderson collection a couple of days ago. Thanks for the early birthday gift, Paizo! According to various sites, Black Blade Publishing is the previously-mysterious company that will be publishing Swords & Wizardry for distribution in game and book stores. They'll also -- unless the plans have changed since Matt Finch first talked about this several months ago -- be producing a line of S&W support products, although I have no clue as to what those products might be. My guess is that they'll be primarily adventures, with the occasional supplement, but I have no special knowledge on this matter. Goodman Games has released The Dungeon Alphabet, written by fellow blogger Michael Curtis. The book is an expanded version of a great series he did on his blog and ought to be excellent. I consider the original Dungeon Alphabet series to be one of the best things old school blogging has produced and serves as a terrific primer for anyone trying to make sense of the Old Ways, particularly as they pertain to dungeon design. Or rather, I am a terrible cartographer and this makes me hate mapping. When I was younger, I used to spend hours creating intricate maps of both dungeons and wilderness areas -- and I had a lot of fun doing it. Nowadays, I don't enjoy it so much. I don't think it's because of time constraints, as I'm frankly blessed with a very flexible schedule that gives me a lot of free time to invest in creative efforts (like this blog). Rather, I think it's because, as I got older, I started to realize I'm not an especially good mapmaker and that realization has made the whole process less enjoyable for me. When I say I'm not good, I don't just mean my technical skills, though that is part of it; I mean I'm not very imaginative when it comes to making maps. My own maps lack both flair and, where appropriate, plausibility. They just seem throw-together, which, of course, they frequently are. That's why, more than the ability to draw, I wish I possessed the ability to make attractive and usable maps. You'd think, in this day of high technology, that there'd be software that'd let me do that easily without having to learn the ins and outs of a stripped-down CAD program. Alas, there isn't or, if there is, I don't know of its existence. And so many of my creative efforts get slowed down due to my inability to produce maps in a timely fashion. Goodness knows Dwimmermount is a little less ambitious than I'd like it to be, owing to my lack of enjoyment when it comes to cartography, which is ironic, given how important the players' mapping of the megadungeon has become to the development of the campaign. 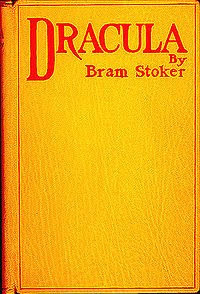 First published in 1897, Abraham "Bram" Stoker's Dracula is one of those rare works of literature that, while being thoroughly steeped in the genre out of which it arose, in this case Gothic fiction, nevertheless manages to transcend their origins. It would hardly be an exaggeration to say that Dracula is one of the most influential novels of all time, inspiring not just many imitators but also whole genres of fiction and ensuring that the vampire is one of the enduring archetypes of Western mythology. Like most people, I knew the character of Count Dracula long before I read the novel in which he appears. As a kid growing up in the 1970s, before the advent of inexpensive VCRs, I watched old movies on Saturday afternoons on local TV channels, among them the many Hammer films of Peter Cushing and Christoper Lee, which, as it turns out, were important influences on Dave Arneson. It was Christopher Lee's portrayal of Dracula that has probably stuck with me all these years as the interpretation of the titular character, despite its deviation from what Stoker himself actually wrote. I only read the novel for the first time when I was in college and I was initially rather taken aback. Dracula is an epistolary novel rather than a traditional narrative. There are journal entries, telegrams, newspaper clippings, even transcripts from phonograph recordings, and they each shed a different light on the unfolding story of Count Dracula's "invasion" of late 19th century London. This gives the novel a somewhat disjointed feel, particularly since it's told from the perspective of several narrators, some of whom are unreliable or at least ignorant of all that is transpiring. Likewise, the novel is written in a style that sometimes felt stiff and "distant" to me, at least in parts, but I eventually came to realize this was intentional. The general outline of the novel's plot are well-known: a Transylvanian vampire seeks to acquire real estate in England in order to gain access to a larger population on which to feed and to pave the way for his long-planned attempt to rise to power. What made the novel so fantastic, though, was not its plot but its characters, chiefly Count Dracula himself, who is at once repulsive and attractive. I'm not sure that the character has ever been adequately portrayed in film, as most portrayals tend to over-emphasize his seductive qualities at the expense of his monstrous ones. Dracula-as-Byronic-hero is a common misinterpretation of this character and, while there's little question that Stoker does make Dracula an alluring figure -- by design -- there's also no question that he's a villain and one who must be destroyed to ensure the safety of the world. Like Stoker's Dracula, I find vampires to be both attractive and repulsive: attractive, because the idea of nearly-immortal damned souls stalking the night is a terrifying one; repulsive, because too few people nowadays look on vampires as unambiguously evil. I suppose that's as much proof as we need to illustrate the glamor of evil, but I can't help but feel disappointment at the way the archetype of the vampire has been so watered-down and indeed neutered of the power it packed in Stoker's day. I think there's still a lot of punch left in vampires but most of that punch comes from contemplating their status as thralls of Hell (whether literally or metaphorically) rather than as forever-young demigods. LARGE INSECTS OR ANIMALS: This category includes giant ants and prehistoric monsters. Armor Class can be anything from 8 to 2. Hit Dice should range from 2 to anywhere near 20, let us say, for a Tyrannosaurus Rex. Also included are the optionally usable "Martian" animals such as Apts, Banths, Thoats, etc. If the referee is not personally familiar with the various monsters included in this category the participants of the campaign can be polled to decide all characteristics. Damage caused by hits should range between 2-4 dice (2-24 points). I'd somehow overlooked this section before now. I'm still catching up on emails, comments, and other correspondence, so my apologies if you're waiting on a response to any of the above from me. October continues to be hectic for me -- and not in a bad way -- so I've fallen behind on my usual practice of answering queries quickly. Such is life. I don't expect the situation to change this coming week, especially with my birthday celebrations with friends and family over the next week. I imagine November will be a little less busy (or so I hope!). Looks like my post yesterday struck a chord with a lot of people, since there's been much commentary on it from people whose opinions I respect, like Allan Grohe, Rob Conley, and the Greyhawk Grognard. I'm pleased by this, because I think it's a topic worth discussing, but I fear that, once again, my "thinking out loud" has been invested with more authority than I ever intended. I did not say that publishing a "true" megadungeon is impossible, only that it cannot be done easily. I said this for several reasons, some of which I elucidated in the original post and some of which I didn't. Let me be clearer now. First, I think the hobby has changed a lot since the early days. In particular, I think there's a much greater desire on the part of gamers for "complete" products. That's why exhaustive campaign settings, adventure paths, and monstrously large rulebooks seem to rule the day rather than the more skeletonic offerings of the Golden Age. Game companies, naturally, recognize this and cater to that desire. While there's probably a market for a proper megadungeon product, I suspect that market is small, or at the very least, I suspect it's perceived to be small. That's a purely "logistical" issue and only explains why we haven't seen a published old school megadungeon product, not why it'd be difficult to do. The more substantive issue, I think, is that creating a proper megadungeon is more art than craft. That makes it hard to "commoditize" in the way that most game publishers like these days. It might be possible to produce a "megadungeon construction kit" product, which brings together a bunch of maps, random tables, and "how-to" essays on the creation and maintenance of a megadungeon, but I'm skeptical. Like good refereeing, I see megadungeon creation as something that you can't learn from a book. You learn by doing. I realize this opinion will be controversial and I fully expect comments ranging from calling me an elitist to pointing to this or that product as a superb example of teaching good refereeing in book form. Once again, let me be clear: I don't think it's impossible, only exceedingly difficult and I say this because I have never seen an example of the kind of "how-to" product we're imagining and I've seen a lot of gaming products over the years. I've seen some that purport to teach the principles of refereeing or adventure design and none of them ever struck me as being all that successful in their intended purpose. I come to this perspective from my own experience. I learned to become a good referee after years of simply muddling through and by watching others referee their own games. I've often noted that, in the old days, experienced referees frequently "mentored" their less experienced colleagues, helping them to learn the ropes of this rather unique role. For good and for ill, that's how I learned how to referee. The same is true of dungeon design. It's only through having read, created, and played hundreds of dungeons that I figured out how to make ones that are not only enjoyable but have what it takes to hold the interest of my players for months at a stretch. Now, maybe, everything I've learned over 30 years of doing could be distilled into a book or other product. If so, I'd be very interested in seeing it. But my gut tells me that most such products would wind up being either a chaotic jumble calling itself a "toolkit" or else a bunch of vapid advice of use only to the inexperienced would-be dungeon designers. There's utility in both those types of products, I think, but neither would be a megadungeon product. They'd be products for making your own megadungeon. And, as I noted yesterday, that's really the crux of the matter: megadungeons are made, not bought. I don't discount the possibility that someone could create products to better support the creation of one's own megadungeon, but that's a far cry from asking for Castle Greyhawk in a box, something that I think that's neither desirable nor likely, but I'd be happy to be proven wrong. A common lament amongst old schoolers is that Gary Gygax never published a "complete" version of Castle Greyhawk. You also occasionally hear similar laments about Dave Arneson's Castle Blackmoor or other iconic megadungeons from the early days of the hobby. I used to make such laments myself, so I have a lot of sympathy for those who wish they could see the maps and contents of these foundational adventure sites. As I've studied the history of the hobby, though, I've started to understand exactly why we've never seen a "proper" megadungeon published to date: it can't be done, at least not easily. Now, before everyone jumps all over me for saying this, let me clarify a few points. When I talk about a "proper" megadungeon, I'm not just talking about a big dungeon. 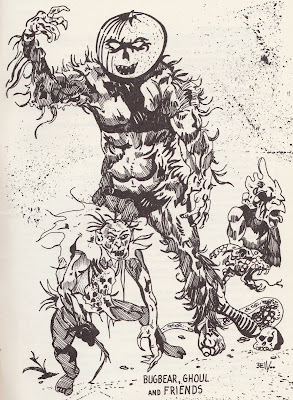 Now that the old school is the flavor of the month, lots of people use the term "megadungeon" without understanding that it's more than just a module on steroids -- a "super-module" to use TSR's late, unlamented phrase. When I say "megadungeon," I'm talking about what Trent Foster calls a "campaign dungeon," which is to say, an adventuring site so large, open-ended, and dynamic that it becomes a campaign setting unto itself -- a kind of "dungeon wilderness," if that makes sense. When most people think of a "dungeon," they expect a set of maps with a key describing rooms and their contents. A megadungeon, by its very nature, can't be detailed in the same way. It's a lot more "impressionistic" and relies heavily on ad hoc adjudication by the referee, as the players explore it. Not all of the megadungeon's rooms are inhabited at any given time -- this is important -- and many of their inhabitants might change, depending on player action, referee whim, or the luck of random rolls. Likewise, even the geography of the megadungeon might change, as the referee adds new sections, closes off old ones, or otherwise alters what the characters have experienced to date. All of these factors make it hard to present a megadungeon in a form that's easily usable by anyone other than the referee who created it. My own Dwimmermount megadungeon, for example, consists of a collections of piecemeal maps, quick notes, and random tables. If someone asked me to show them Dwimmermount, they'd get a stack of papers that'd probably make no sense to them, because their "organization" isn't according to the scheme of a published module but rather according to the needs of the sessions I'm playing with my players. As the campaign wears on, certain aspects of the megadungeon become set in stone -- like the "cleric tree" that bears fruit that act like potions of healing -- but many other aspects change from session to session, often without the players realizing it. These changes are sometimes purely whimsical on my part and other times they're based on a growing sense of what would work better as a challenge. In every case, the changes are in response to play and it's this quality of megadungeons that makes them hard to put into a published form. As campaign settings in their own right, the best one can hope for is a "snapshot" of the megadungeon at any given period of time. Megadungeons aren't meant to be "cleared out;" they are constantly growing, changing, and re-populating. They're not just a bunch of maps with keyed rooms and to treat them as such is to miss the whole point of them. Rather, they're what Joseph the Greyhawk Grognard calls a "tent pole," a hub around which an entire campaign evolves. That's certainly been the case with Dwimmermount, as almost all the action outside of the megadungeon itself has been in relation to it. Dwimmermount is thus both a physical location for adventuring but also a "cultural" one, which is to say, a background against which other events and interactions take place. If you read any descriptions Gary Gygax ever gave of the evolution of Castle Greyhawk, you'll quickly see that the Lake Geneva megadungeon was very similar to what I'm describing. Gygax kept notes about the dungeon, but there was nothing at all equivalent to a module write-up for its myriad levels and sub-levels. The same could be said for Arneson's Castle Blackmoor -- and we can see this in First Fantasy Campaign -- or in the underworld beneath Jakálla in Barker's EPT campaign. These megadungeons only acquired certain of their features through play and, even then, those features could and sometimes did change, which is why Philotomy's notion of the "dungeon as mythic underworld" rings so true even to a Gygaxian naturalist such as myself. A megdungeon product built around the way these dungeons were actually used would be akin to many boxed campaign settings, where you get "high level" information about countries and rulers, important local sights, and places of interest, but leave the specific details up to the referee as his players encounter them. Now, I think such a product would be very interesting, but I fear that many gamers, raised on a steady diet of "complete" adventure modules, would find this approach unsatisfying and confusing. And their feelings are justified in as much as we've never really seen many examples of proper megadungeons published in the last 30+ years. Paul Jaquays's Caverns of Thracia probably comes closest and I am told that at least the first Undermountain boxed set takes a similar approach, but I cannot say that with any certainty. All of the foregoing then is an explanation of why I no longer fret much about never having seen Gary's Castle Greyhawk in printed form. I simply don't think such a thing would ever have been possible and any attempt to present a "Castle Greyhawk" trapped in amber would necessarily feel inadequate. That's the nature of the beast and therefore I think the only way to experience a proper megadungeon is to build it yourself. My October column at The Escapist has now been published. In it, I recount the events of 30 years ago that led to my introduction into the hobby. Long-time readers of Grognardia probably already know most of the details, but I thought them worth repeating for a new audience. 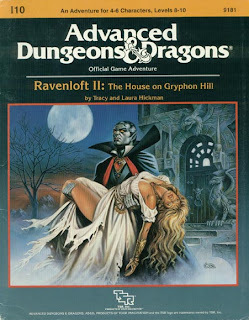 If the original Ravenloft module, published in 1983, represented a shift away from the presentation and design of the modules of the Golden Age, what is one to make of its 1986 sequel, Ravenloft II: The House on Gryphon Hill? Whereas I think there are some legitimate grounds on which to defend module I6, module I10 has no such grounds. Ravenloft II is a textbook example of brandification: emphasizing the importance of familiar names over actual content. According to the cover credits, Tracy and Laura Hickman were the authors of this module. Inside, however, the credits tell a different story: "Based on an Outline by Tracy & Laura Hickman." I'm certain this isn't the first time a D&D product was created based on the outline of someone who otherwise had nothing to do with the product in question. Nevertheless, I think it telling that TSR, who, after all, owned the Ravenloft brand, felt the need to promote the Hickmans' involvement. The actual "design team," as the credits call it, consisted of David Cook, Jeff Grubb, Harold Johnson, and Douglas Niles, along with whatever actual contributions the Hickmans provided in their outline. Even more interesting is the fact that, despite its name, Ravenloft II isn't a direct sequel to its predecessor, except perhaps thematically. Indeed, all the indulgences of the original module -- high melodrama, boxed read-aloud text, a heavily NPC-dependent plot -- are here in abundance. Indeed, they are, in many cases, much worse this time around, as the text is, for example, peppered with lots of words like "should" and "will" when describing the actions of the PCs as they meander around the module's "story" -- a word the module itself uses to describe its contents. Moreover, that story is a strange one, as it casts the events of the original module as possibly a delirious dream rather than having actually happened. Similarly, the identity and true nature of pet NPC Strahd von Zarovich is also called into question by suggesting that he might be an evil sub-conscious "twin" of a kindly alchemist given life through a magical experiment gone wrong. The end result is an incoherent mish-mash of characters, elements, and themes that, frankly, bear very little connection to the module with which Ravenloft II shares its name. As I noted, the original Ravenloft, for all its faults, at least includes a cleverly designed vampire "lair." The module could, with some work, be run in a largely old school fashion, with the PCs rather than the NPCs taking center stage. Ravenloft II, by contrast, isn't so easily adapted, mostly because it's unclear what the adventure is supposed to be about. There are some intriguing ideas about split personalities and body swapping that could, I suppose, be re-purposed, but so much of the rest of the module is filled with confused -- and confusing -- attempts at creating a NPC-driven Gothic novel in D&D dress that I'm not sure it'd be worth the effort. More distressing, I think, is the way that many of the surface elements of Ravenloft have just been transported to a different module in the hopes that that alone would be enough to create something memorable. It's almost as if the writers of Ravenloft II didn't understand the appeal of the original and instead focused on whatever bright, shiny bits most attracted their attention. So we get random placement of items and NPCs, for example, with the associated information imparted not through a Gypsy card-reading but by a trip to the local mesmerist! The result is not only ludicrous but uninspired, a repetition of an idea that once was fresh but now so often imitated as to become hackneyed. The whole of Ravenloft II feels as if no one's heart was really in it, as if TSR was simply looking for a way to catch lightning in a bottle a second time and figured "re-imagining" one of their most popular modules was the way to do it. Unfortunately, resorting to such a formula proved insufficient. Ravenloft, while not to my taste, was indeed revolutionary -- it offered up something new for D&D. Ravenloft II, on the other hand, offers nothing new and what little cleverness it does display is largely overshadowed both by its own defects and the reflected glory of its namesake. Too tired to make any substantive posts today, so I'll put them -- along with replying to emails, comments, and the like -- off till tomorrow. Time to go waste some time doing something mindless in the meantime. Regular service resumes on Thursday (including a belated retrospective). In any case, I will get round to replying to everyone who's taken the time to contact me and blog posting will resume its usual rapid pace in due course. Believe it or not, Grognardia eats up a lot of my time each weekday (and often on the weekends) and October has proven to be busier than expected. Such is life. It is often said that Howard, along with Tolkien, is one of the foundation stones upon which the grand tower of modern fantasy is built: it is just unfortunate, as with Tolkien, that so many look at the surface elements like people, places and things, and assume that this is their lasting appeal. With Tolkien it is the elves, dwarves, orcs and quests to defeat Dark Lords which run wild in dime-a-dozen Tolkien imitations, with none seeking to adopt or even address the deeper themes: the sense of deepest tragedy and loss, that nothing is permanent in this world despite the grand designs of elves and men, of the far-reaching consequences of war affecting even the faraway Shires of the world, and the realization that no matter what power a Dark Lord can exercise, he cannot reach to beyond the stars. With Howard, it is the obvious pulp trappings like the thickly muscled barbarian hero rescuing frightened, voluptuous damsels from irredeemably evil sorcerers or monsters that turn up time and again: little to none of the deeply cynical worldview, fighting the cold indifferent cosmos with all the fire of human spirit, striving to survive in a dangerous and violent world. Most of all, the innate tragedy of man, who despite his strength and will is yet powerless against the might of time, a brief candle in the mad immensity of night. Those stories of Ersatz-Conans in other worlds, or even “official” pastiches, are no more like Howardian under the surface than He-Man is like Conan. Harron's point is both correct and applicable to RPGs, which have, as the years have worn on, become more focused on surface elements of their supposed inspirations than on their deeper themes. Now, as I've said before, I'm not actually all that interested in playing a game that cleaves too closely to Tolkien's -- or Howard's -- worldview, but I nevertheless find it a little sad how shallow are many readings of these authors (and Lovecraft too, come to think of it), resulting in their caricatures often having more influence than they themselves do. That's a pity regardless of what one thinks of these writers, even moreso if, like me, you think they have a lot to offer. One of the complaints raised against the old school movement -- often good-naturedly, often not -- is that its most vocal proponents revel in "primitivism," which is to say, a philosophy of "older is always better." The complaint has merit, because it's sometimes true. I know I've indulged in primitivism over the course of the more than two years I've been immersing myself in the Old Ways. Contrary to legend, it was in fact v.3.5 of D&D that led to my re-evaluation of the editions I'd played as a kid. I felt then, as I still feel now, that the game had, both mechanically and stylistically, strayed from the things that attracted me to gaming in the first place and so I wanted to go "back to the source." Given that context, I suppose it's inevitable that I'd dip more than my toes into the primitivist pond. Historically, the response to perceived decadence is often a reactionary one, sometimes an extreme one. I think that's part of the reason so many of us, including guys like myself who weren't involved in the hobby pre-1977, turned to OD&D and embraced it as our own. Initially, there was more than a little impishness to my casting aside all that came later. It felt good to metaphorically kiss off the brandified, cookie cutter thing the hobby had seemed to have become. But then a funny thing happened: I found I really liked and preferred OD&D for itself. This wasn't a political statement or a publicity stunt; it was love. Not my first love, of course. You can never go home again and, as I've repeatedly stated, my first experience of D&D was with the Holmes edition, so I have no nostalgia for the LBBs. Rather, I found that reading -- and playing -- OD&D elicited a feeling not unlike I felt 30 years ago when I cracked open that box and tried to puzzle my way through its pages with my friends. In many cases, I've found that I've softened my initially-hard stances of certain issues -- thieves, for example. I've also broadened my conception of what constitutes "D&D." In both cases, it was because of my embrace of primitivism that I was able to see things more clearly than I had before. If anything, that's been the main thrust of what I've been trying to do here on this blog, however haltingly and occasionally embarrassingly: understand D&D and the earliest games of the hobby in the light of their history. To do that, you have to take the games as they are -- don't assume they're "broken" or "less evolved" or any of the myriad other jibes made against them by gamers who've probably never read them, let alone played them. I'm doing that and it's giving me a better perspective, one that simultaneously confirms some of my long-held opinions about the hobby and challenges others. It's a messy, confusing, and often frustrating experience but an immensely satisfying one too. It's resulted in one of the most intense periods of writing in my professional life, making and meeting new friends from across the globe, and, most important of all, some of the best gaming I've had in decades. All in all, a pretty good score. But the process is ever ongoing, like all the best things in life. I'll keep posting the results of that process here for as long as I have them. Thanks to everyone who's come along for the ride. The pulp fantasy revival of the late 1960s and early 1970s is the background against which our hobby arose. It's important to remember this for a number of reasons, chief among them being that the content and style of those pulp fantasies were quite different than the latter-day fantasies that followed in their wake. The historical amnesia of this fact has, in my opinion, made it much harder for gamers not immersed in that culture to understand the early days of the hobby and the RPGs it produced. As a genre, pulp fantasy is distinguished from other types of fantasy by its format as well as its content. The short story, the novelette, and the novella are the preferred forms of pulp fantasy fiction. While there are novels in the genre, they're fewer in number and are often little more than a collection of smaller works strung together by linking material, which is why they often have picaresque qualities that set them apart from the epics many nowadays tend to associate with fantasy. These qualities are the ones that, in my opinion, early gamers seized upon when crafting their own games and campaigns and it's the rejection of the same that led to the decline of the Old Ways. Whatever his merits as an author in his own right, Lin Carter was one of the most important and influential editors during the pulp fantasy revival. He put together numerous collections of swords-and-sorcery literature, including the Flashing Swords! series, which ran from 1973 to 1981 and ultimately encompassed five volumes. 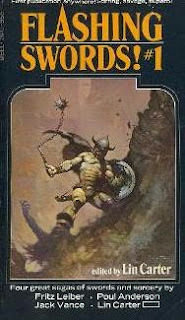 The series included contributions from many of the prominent members of the Swordsmen and Sorcerers' Guild of America, a literary group dedicated to the promotion and popularization of the S&S genre. During its existence, the Guild presented a Gandalf Award for contributions to "heroic fantasy," which just goes to show that, at the time, the fine distinctions guys like me make weren't recognized and writers like J.R.R. Tolkien were considered as part of "the club," despite the clear difference in their content and style from authors like Leiber or Vance. Flashing Swords! #1 consists of four novelettes. The first is a story of Fafhrd and the Gray Mouser entitled "The Sadness of the Executioner." The story itself concerns Death, his role in Nehwon, and how Lankhmar's most famous pair of adventurers fit into his plans. It's a terrific story that, I think, nicely exemplifies the pulp fantasy ethos, on both a personal and a "cosmic" level. "Morreion" by Jack Vance is a tale from his "Dying Earth" series, which would later re-appear in his 1984 book, Rhialto the Marvellous. "Morreion" is particularly of interest of fantasy gamers looking for one possible way to represent "space" travel. Ioun Stones are also prominently on display here. Poul Anderson's "The Mermaid's Children" is another installment in his fantastic medieval quasi-series that includes books such as Three Hearts and Three Lions and The Broken Sword. It's just as good as its predecessors and as suffused with sadness. Rounding out the book is Lin Carter's own "The Higher Heresies of Oolimar," which is by far the weakest piece in the whole thing. If ever there were any question that Carter had no shame, it's fully on display in this silly piece, which comes across as exceedingly amateurish. Posting's been a fair bit lighter this month than usual. I'm busy with a number of other projects, some related to the old school movement and some not, and they've been keeping me busy. To show you just one of the things that's been holding my attention, here are a few pieces of art from my upcoming adventure, The Cursed Chateau. This piece, by Jeffrey Brown, shows a shadow. 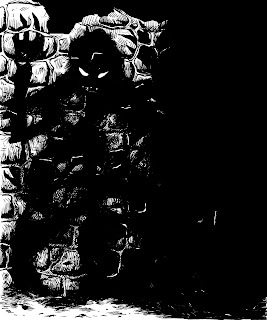 I was really quite taken with it, because the shadow has always been a very difficult creature for me to conceptualize and this illustration came very close to capturing what my mind's eye has long seen when I think of the shadow. 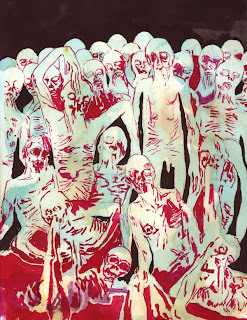 Andrew Guenther created a terrifically creepy horde of zombies that looks a little different than "standard" image of these undead. 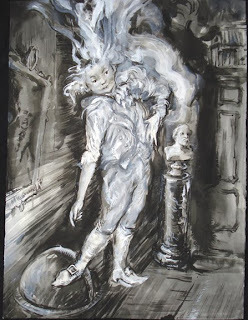 Don Doe created one of my favorite pieces for the project, a ghostly image of a boy that arises out of a painting. 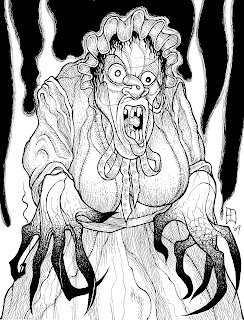 And what old school-related project would be complete without at least one piece by Erol Otus, in this case a wraith maid? As The Cursed Chateau gets closer to publication (it's slated for the end of this year), I'll probably post a few more previews of art and text, but, for now, I simply wanted to let you know why I've been a bit more scarce than usual. In the Arduin Universe, the ability to advance to higher levels is based on earned merit and not on acquisition of treasure. Therefore, points are given for many reasons but NOT for gold or other treasure. After all, it is the act of robbery, not the amount stolen, that gives the thief his experience. There's some definite value in Hargrave's notions, even if I think there'd be issues with implementing them. Still, I can't deny that I like the idea that actually dying -- and being brought back to life -- is XP-worthy. Mind you, I suspect Hargrave, like many gamers, has a very different notion of what experience points represent than did Gygax and Arneson, but that's the not the point right now. AD&D 2e, as I recall, experimented with more specific XP awards and I thought they were ill-conceived and much too persnickety for easy use. That's only an indictment against a particular implementation of the idea, not the idea itself. All of the foregoing is just my way of saying that I don't think OD&D's experience system is sacrosanct. Yet, I'm also wary of replacing it whole cloth -- or even tinkering with it -- without a better sense of what effects such replacement/tinkering would have on the texture of game play. I know all too well that, for example, removing XP for gold or adding in "story awards" changes the way D&D is played and not in positive ways, in my opinion. Given that, I've (mostly) left XP as written and have found it works far better than many of its critics would imply. So, over at the Temple of Demogorgon, Brunomac makes fun of poor Indel, the unfortunate elf who starred in those silly D&D comic book ads from the early 80s. He even goes so far as to mock him as a "Keebler elf," which is fair enough, considering his attire. He doesn't much look like an elf to me either, but he's clearly labeled as such. I'm guessing he's AWOL from Santa's workshop or something, because I can't recall ever seeing an elf portrayed with a beard outside of that context. Then there's this lovely lady from the AD&D Players Handbook. She's standing next to a human male and it's clear if you see the original illustration that early D&D elves were (largely) much shorter than Men. Take note of her costume, with its tasseled skirt. 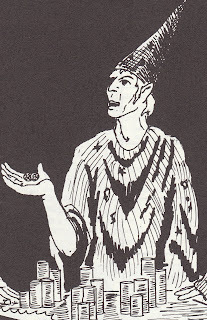 This guy is also from the PHB and he looks like Spock robbed Merlin's closet. Interestingly, he's roughly the same height as a human being. I still can't make up my mind if this guy is in fact an elf or not, although I am coming round to the notion that he is probably meant to be. He looks like Indel's long-lost brother and appears to be slightly less hapless. These are elves from the Monster Manual. Their height is difficult to make out from this illustration, but I don't get the impression of their being very tall. I've always been very fond of this piece by Dave Trampier, which shows wood elves. Take a look at their ears and general attire. They're definitely more in line with a "fairy tale" sensibility than anything Tolkien-esque. 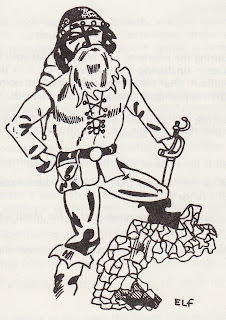 It's possible this guy from the cover of module D1-2 isn't an elf, but I've long assumed he was, based on the clothing he's wearing. The only guys you ever see wearing hoods like that are archers or elves and he doesn't appear to be the former. I think it's interesting to see how the portrayal of elves has changed over the years, since I think it strongly supports the notion that elves have changed in D&D from the early days. Speaking only for myself, I vividly recall that my friends and I just assumed that all elves were short little guys with funny hats and shoes for the first couple of years we played the game. I'd place the shift in our perceptions to somewhere around 1981 or thereabouts, maybe a little later. Nowadays, I tend to use "elf" in a situation-dependent way. It's basically a word I use to describe any inherently magical not-quite-human race, whether they look like Ernie or Elric. In my Dwimmermount game, elves, especially the red-skinned Eld, are more like Melnibonéans than repairers of shoes, but, in a different campaign setting, who knows? I prefer a lot of malleability in what constitutes demihuman X or Y, as that approach gives me more freedom to do with them what I want. One bit of Gygaxian wisdom I've taken to heart when creating Dwimmermount is to include at least one new monster, magic item, spell, or other feature on each level of the dungeon. These new features help keep the game fresh for players, particularly those who've been playing the game for decades and already know the basic repertoire of OD&D and its supplements. As with most other aspects of megadungeon design, it's a never-ending process. Dwimmermount is constantly changing, as I restock and alter it in response to player actions. In running my play by post version, I've added a few new wrinkles as well, the first that the players have so far encountered being the monsters known as eldritch bones. Eldritch bones are the reanimated skeletons of slain soldiers. Unlike most other types of skeletons, eldritch bones are not undead. Rather, they are magical constructs brought back to a semblance of life through the use of minute quantities of azoth, which not only gives them the ability to move and attack but also strengthens their bones. Consequently, eldritch bones have a metallic appearance, thanks to the silvery-black azoth that suffuses them. The process of creating them was originally an invention of the Eld, but was perfected by the Thulians during their late, Termaxian phase. Like truly undead skeletons, eldritch bones suffer only one-half damage from sharp/edged weapons, while blunt weapons do full damage. They are immune sleep, charm, and hold spells and are unaffected by holy water. Provided the caster possesses an ampule of undiluted azoth, this spell enables the creation of eldritch bones from the complete skeletons of humanoid beings. 1d6 eldritch bones are created per level of the caster above 11th. The eldritch bones remain animated until destroyed. Having thought a lot about the miniatures wargaming heritage of Dungeons & Dragons lately, it was probably inevitable that I'd start to reminisce about 1985's Battle System supplement to AD&D. 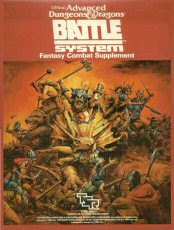 Designed by Douglas Niles, Battle System was an attempt to "go back to ... [the] roots" of D&D, according to the supplement's introduction. I vividly recall the appearance of this product, which I hoped would finally give me something I'd always wanted: a playable mass combat adjunct to D&D. In my opinion, this is something D&D hasn't had since the days of Chainmail and the continued lack of such a thing has played a big part in the loss of D&D's endgame by making it unnecessarily difficult for many referees to handle the large combats that are likely to occur once the PCs become rulers of their own domains. I'm not sure that Battle System was written with these concerns in mind. Indeed, I'm not entirely sure why the product was released at all. My guess is that Douglas Niles, who was himself an avid wargamer, wanted to write it. 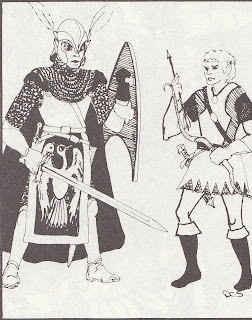 Likewise, in 1985, D&D was in the midst of an identity crisis as it entered its Silver Age and was being buffeted by internal squabbles during Gygax's Cent-Jours (he was removed from TSR's board of directors in the fall of that year). Battle System thus comes across as a kind of schizophrenic love letter to the early days of the hobby, even as it embraces a lot of the esthetic shifts that would mark the post-Gygax era. Just take a look at that Jeff Easley cover art. What I liked about Battle System was its seeming open-endedness. The rules were designed, according to editor Michael Dobson, to be "up to date with the full, current AD&D system ... [and] include all new magic spells, new character classes, and every monster in the entire system!" Likewise, the rules more or less required the use of a referee, since the sheer breadth of situations possible by integrating the entire AD&D system demanded that there be some living arbiter to handle unusual situations, particularly when magic was involved. This appealed to me greatly and reminded me of those guys I saw playing Napoleonics miniatures battles back in the 70s. Battle System made me feel as if I was "one of them" as I played it. And play it I did. I've spoken before about my general lack of experience in miniatures wargaming. As intrigued by it as I've always been, I've never really had the fortitude to play any such games to any great extent. Battle System was the sole exception and I suspect it's because the rules were short (32 pages) yet comprehensive and because the boxed supplement gave me everything I need to play. There were close to 1000 cardboard counters included and this obviated the need for having huge numbers of metal minis. Granted, metal miniatures look so much better than counters, but I had neither the time nor the resources to assemble huge armies in lead, whereas it was a snap with all these counters. This enabled me to have the fantastic massed battles I expected of any battle system associated with D&D. Over time, my enthusiasm for Battle System waned. I found the rules both too sketchy and too restrictive at times and, even as loose as they were, large battles still took many hours to play out and my friends and I simply had better ways to spend our time. I'm not at all certain that this is a flaw of Battle System itself so much as it is a statement about why miniatures gaming generally and why its connection to roleplaying have diminished over the years: time. Even in the late 80s when I was in high school, I simply wasn't willing to lavish the same attention to gaming as I once did. I wanted things to take less time and demand less of my attention than they had in the past and I suspect I wasn't the only one who felt this way. I no longer own a copy of Battle System. I got rid of mine years ago and wish I hadn't. While I doubt I'd play it again, it'd be nice to reread it and see what memories it sparks in me. I think Douglas Niles is an underrated game designer in old school circles. His work on the Star Frontiers Knight Hawks starship combat rules was very innovative in many ways and his Against the Cult of the Reptile God is a cleverly done adventure module. Unlike a lot of more celebrated people in this hobby, Niles's work often gave me a lot of pleasure and that, in the end, is all that really matters. Last week I made a post in which I clarified an imprecision in my usage of the term "wargame" with reference to the historical background out of which OD&D arose. This led to some interesting comments, including one about the way that many in the old school movement downplay the importance of miniatures, sometimes to the point of denying that they were ever used. I can certainly understand why some might wish to do this. The WotC editions of D&D became increasingly reliant on the use of miniatures and so miniatures are an easy target to lash out against as the locus of where those editions "strayed" from the original vision for the game. This is made easier by the fact that so many old schoolers didn't use miniatures in their games. We know, from accounts by his players, that Gygax didn't use miniatures in his home campaign. Likewise, OD&D, as written, doesn't require the use of minis; even large combats can be adjudicated easily without the need for them. Consequently, it's not a great leap from there to argue that miniature figures aren't part of the heritage of the game. That would be a mistake, though, a mistake I've of which I've been guilty too. I rarely used minis in my early D&D campaigns. I owned lots of miniatures, as I've said, but they were mostly used as "toys," not something we used as part of play beyond visually establishing a marching order or the like. At the same time, we knew of several gaming groups that used miniatures religiously and, again, we know from contemporary accounts that Dave Arneson did use miniatures in his home campaign. There was thus a lot of variation from group to group and the fact that miniatures continued to be bought and sold shows that someone must have been using them and likely putting them to heavier use than I ever did back in the day. In any case, my point here is not that miniatures are an inseparable part of "the D&D experience" or anything like that. You can easily play old school D&D without the use of miniatures. Rather, my point is that it's a mistake, as some do, to look on miniatures as somehow aberrant or not a significant part of the heritage of D&D, especially in its early days. 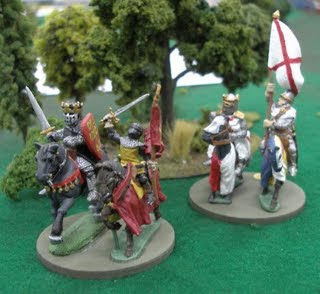 Roleplaying grew out of miniatures wargaming; that's a fact of history. Many of the hobby's most durable ideas and practices can be linked backed to similar ideas and practices in miniatures gaming. To deny this is to deny history. At the same time, I'm not arguing, as others have done, equally in ignorance, that D&D was (or is) a miniatures wargame. The truth is a fair bit more convoluted and messy and it's difficult to say just where miniatures wargaming ends and roleplaying begins, but I hope we can all agree that the border lies somewhere within those three little brown books, even if no one at the time quite realized this. Trying to piece together this history is part of why I started this blog. It's an ongoing process and often one that's fraught with setbacks and re-evaluations. Lately, I've been giving a lot more thought to the miniatures side of things, so expect more posts on this in the future. I hope anyone who has more extensive experience with miniatures wargaming in the 1970s will chime in with their insights, since I have so little of my own to offer on this score. One of the frequent criticisms of looking to Appendix N for inspiration is that all of its books were written before 1979, most of them by a decade or more. I've never seen this as a damning critique, given my contention that Dungeons & Dragons was written to broadly emulate the characters, themes, and situations of pre-mass market pulp fantasy literature. Nevertheless, in the 30 years since the first appearance of the famed appendix, a lot of fantasy stories have been written. Surely some of them must have been written whose characters, themes, and situations were consonant with those that inspired Gygax and Arneson, right? This was a question frequently put to Gary Gygax in numerous online forums and his response was generally the same: there are only a handful of post-1979 authors whose works he admired and considered in the same vein as he saw D&D -- and Glen Cook was among that august company. 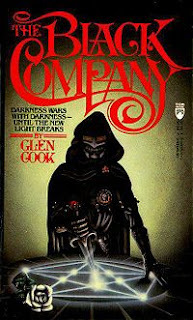 Cook's first novel, 1984's The Black Company, was one that Gygax recommended in a contemporaneous "From the Sorcerer's Scroll" column. Alas, I can no longer find the specific reference, but I nevertheless recall Gary's effusive praise for the novel. That intrigued me at the time and I tried to find the book to see what all the fuss was about. I never managed to do so and it wasn't until comparatively recently that I actually read The Black Company. The book takes its name from a mercenary company that's been in existence for several hundred years prior to its start. With such a long history, the company has an official annalist, the current one being named Croaker, and the novel is told from his perspective, as he records the events that befall him and his brothers in arms. The story begins in a faction-riddled city, where the Black Company is employed by its current ruler, whose position is rapidly deteriorating, costing the Company many men and much materiel. When a better offer comes along -- heading north to serve a mysterious patron known only as the Lady -- the mercenaries assassinate their current employer in order to void the contract and thus be in a position to accept the new one, as the sanctity of contracts is very important to the Black Company's ability to stay together and continue to attract work. The Lady, it turns out, is a powerful wizard and the wife of an even more powerful one named the Dominator, who together once ruled a great empire with the assistance of former enemies turned allies known as the Ten Who Were Taken. Until recently, the Lady had been magically imprisoned, along with her husband and the Taken. She is awakened by a power-hungry wizard, who sought to use her to win an empire for himself, but his plan went awry and now the Lady is awake and keen to resume her rule alone. Unfortunately for her, things have not gone as planned, with various rebel factions arising to oppose her, not to mention rivalries within the Taken, some of whom seek to supplant her as well. This is where the Black Company comes in and becomes involved. Caught between a variety of dangerous factions and standing by the terms of their contract, they must find a way to survive and fulfill their duties to the Lady. The result is a gritty, occasionally remorseless swords-and-sorcery tale told in the form of a first person military chronicle. I can certainly see what attracted Gygax to the book, although its applicability to D&D is less obvious to me. I myself found the book fairly slow going and, while I appreciated it for its ideas, I wasn't won over by Cook's writing, which felt very flat to me. That disappointed me greatly, as I wanted to like this book and its sequels more than I did. Still, there's no question that they're well worth reading and that they are good examples of contemporary pulp fantasy. My own disappointments to the contrary, The Black Company at least should be read by anyone with an interest in the genre. Quite a few people have praised the names I use in my Dwimmermount campaign and I thank you all for the compliment. When it comes to names, though, the truth is that I'm a thief, albeit one who's (semi-)good at hiding my sources. The biggest influences over me in terms of how I build fantasy settings are an unlikely pair: Robert E. Howard and J.R.R. Tolkien. As a kid, I read and re-read both Howard's "The Hyborian Age" essay and the appendices at the back of The Return of the King (and the Silmarillion, come to think of it). Together, they provided me with the basic tools I've used for the last 30 years when it comes to naming people, places, and things in my RPG campaigns. What's intriguing is that, in both cases, the author looked to the real world for his models. Tolkien did so in a far more scholarly way than did Howard, but both avoided inventing purely nonsensical names without any basis in human history or culture, which is why I think both the worlds of the Hyborian and Third Ages both have a reality to them that's often lacking in many literary fantasy worlds. That is, they feel grounded in something other than pure whimsy and that makes them seem familiar even when they're completely unreal. The nations of the Hyborian Age, for example, recall plenty of nations from human history, but the correspondence isn't one-to-one, making it difficult to say that, for example, "Aquilonia = Rome," even if Aquilonia has a lot of clearly Roman cultural characteristics. Likewise, Tolkien's use of real world languages, such as Old English, as the basis for his fantasy languages gives them a similar air of reality that sets them above the faux languages of most fantasy. So when I want to create new names for my fantasy campaigns, I always look to the real world and then start twisting it, preferably in several ways. This helps me to obscure the ultimate origins of my names and, sometimes anyway, gives them a bit more depth. The name Turms Termax is a good instance of what I'm talking about. 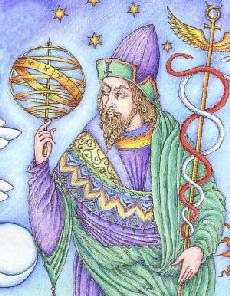 Turms is the Etruscan name for the Greek god Hermes. It sounds similar enough to "Hermes" so as to bring it to mind without being obvious. "Termax" is derived from the phrase "ter maximus," which is the Latin epithet meaning "thrice great." Placed side by side Turms Termax just sounded right to my ears, with its alliteration and short syllables. That it sounded like a name Clark Ashton Smith might have come up with for one of his Hyperborean or Zothiquean tales only made me like all the more. Most of the names I use in Dwimmermount were created in a similar fashion and, as I said, people seem to respond well to them. Much as I like very alien fantasies, experience has taught me that most people have an atavistic attachment to certain archetypes and those archetypes are often associated with names or parts of names (or even just sounds). I prefer, when possible, to harness those associations, because it's much more difficult to create new associations of that sort. That's not to say it can't be done, but it takes a lot of time and effort and, these days anyway, I'd much rather avoid getting bogged down by world building beyond what's immediately needed for the adventures I'm running. I know that's an unfashionable approach nowadays. What can I say? It works for me and my players and, in the end, they're the only audience that matters. In my Dwimmermount game, though there are many gods, only three have played much of a role in the campaign to date: Tyche, Typhon, and the mysterious Turms Termax. Of the three, the worship of Turms is unusual in the present day, because it is closely associated with the end of the Thulian empire. The Thulians, you may recall, are the Roman-equivalents of the Dwimmermount campaign world, but they began their historical role as northern barbarians who overthrew the Eldritch empire that preceded their own. In the early days of their rule, they were highly suspicious of non-divine magic and its practice was highly regulated (which is the origin of the magic-user class's level titles). Given the misuse to which the Eld had put magic, there were few complaints and the Thulians ruled justly, if occasionally brutally, for several centuries. It was into this environment that an enigmatic wizard named Turms first appeared. Along with his female companion Sarana, he traveled the empire, seeking out forbidden magical knowledge and teaching that such knowledge allowed Men to reach their full potential as the true gods of the cosmos. A cult soon grew up around him, one which encouraged the use of magic and alchemy as a means to divinization and denouncing the gods of the empire as false. Unsurprisingly, the Thulians didn't take kindly to this and persecuted the followers of Turms, eventually capturing and torturing him until, according to legend, he ascended into godhood before their very eyes. True or not, there's no question that the Thulian official attitude toward the cult changed. Termaxians (as his followers became known) were able to practice their faith openly and the restrictions on magic were lifted. Within a generation, the Thulian empire came to depend heavily on both magic and Termaxians, as it spread farther across the continent and tightened its grip over its subjects. Over time, the empire started to treat other religions as it had once treated the followers of Turms. Only those faiths who acknowledged their gods as aspects of Turms Termax were allowed to operate unrestricted. Those who resisted were ruthlessly quashed. Resentment against the Turms-worshiping Thulians grew, especially as they grew ever more tyrannical. Rebellions across the empire eventually tore it asunder and the Thulians -- and Termaxians -- were cast down, to be replaced a welter of new, localized powers. In most regions, Termaxianism was outlawed once again and the common folk speak in hushed tones about its supposedly sinister "secret" doctrines. Even those with an inkling of the truth nevertheless show little affection for Turms and his faith has dwindled into comparative obscurity, except among magic-users. Turms Termax is one of the "great mysteries" of the Dwimmermount campaign. I created the god to be a useful MacGuffin in both the megadungeon and other adventures. As you can see, he's an amalgam of Hermes Trismegistus, Simon Magus, and certain of the Roman emperors. He gave me a good way to introduce secret societies into the campaign (like the Argent Twilight), employ alchemical symbolism (like azoth), and open up the question about who and what they gods really are. So far Turms has proven very successful in these goals and he's one of my favorite recent creations, since he gives me an excuse to indulge in esoteric whimsies of various sorts. And finally, it's nice to be able to use a mystery cult in D&D rather than the peculiar kind of ahistorical polytheism that most gaming tends to present. I try to be clear when I write my posts, but sometimes I forget to include important bits of information that are obvious to me but might not be so obvious to others. A good case in point is when I talk about the "wargames" heritage of OD&D and early gaming in general. What I typically fail to make clear is that I'm (primarily) talking about miniatures wargaming rather than Avalon Hill-style hex-and-chit wargaming. Gygax and Arneson were avid players of miniatures wargames, as was M.A.R. Barker. And of course the Chainmail rules out of which OD&D arose were "rules for medieval miniatures," according to its subtitle. Miniatures games back in those days were often kit bashed affairs, with models swiped from a variety of different sources and rules that left a lot of leeway for interpretation. This ethos was carried over into OD&D, along with measuring movement in inches. While I have no particular attachment to those movement rates, I do have a fondness for the "seat of the pants" style of refereeing that those old miniatures games demanded and that was imported into early roleplaying games. I was never a minis gamer myself, but I knew older guys who were into Napoleonics (and American Revolutionary miniatures) and used to watch with awe, not just as they assembled their meticulously painted 15 mm armies, but as they seemingly effortlessly dealt with situations their rules didn't explicitly cover. What I saw still sticks with me three decades later. Ironically, I don't have the patience to be a good minis player. I'm not a very good painter and I get easily distracted when it's not my turn. I'm also a poor strategist and tactician when it comes to things like this. In the few games I have played in recent years, I tend to get trounced rather unceremoniously and the fault is largely my own. The Dwimmermount campaign has been on something of a hiatus in recent weeks, owing to a concatenation of real world distractions on the part of three of my regular players. In the last month, there's only been a single session and this dearth of actual play may continue for the next little while at least. It's a pity but it's an expected consequence of running a campaign with adults who have jobs, families, and other responsibilities. It does make me wonder how Gary Gygax was able to run his Greyhawk campaign multiple days each week back in the 70s. Regardless, we did manage to squeeze in a single session recently and it took place entirely outside of Dwimmermount. Brother Candor had long ago promised to officiate at the marriage of former hireling Ragnar the next time he was free to do so. By mutual agreement, the party decided that he was free now and so headed off to a small village south of Dwimmermount called Smerdlap's Crossing. Conveniently, the town was located not too far from the vale Dordagdonar wanted to scout out as a location for his future elf-hold. Although he's only fourth level, Dordagdonar's player is thinking ahead and there's nothing in the OD&D rules that prevents a PC from starting to expend resources on a stronghold before ninth level. I'd not given much thought to the nature of Smerdlap's Crossing, beyond assuming it to be an agricultural community under the protection of Adamas. Thanks to an almost-rhyme, one of my players began talking about the burlap industry of Smerdlap's Crossing, which of course led to the further suggestion that the local farmers grew hemp. Yes, this led other suggestions as well and much amusement was had by all, as we cycled through all the usual jokes and humorous associations we could muster as they made preparations for the wedding. The party had pooled their resources and bought some oxen and a plow for Ragnar, immediately making him a very important person in town for reasons other than having braved the dangers of Dwimmermount and returned alive. The wedding itself was a small affair, but the party that ensued afterward was much more exciting. During the festivities, an old man expressed surprise upon seeing Dordagdonar, explaining that elves haven't been seen in these parts since he was a boy. Dordagdonar asked why and the old man added that, when he was a child, things hadn't been going so well with the crops and people were getting sick and disappearing. The town elders were always suspicious of a settlement of elves to the northeast and decided, without proof, that they had to be responsible for Smerdlap's Crossing's ills. The elders enlisted the aid of some "mercenaries," including a number of "dark wizards" to deal with the elves and so they did, resulting in the slaughter of the entire settlement. Unfortunately, the problems remained and in fact multiplied, as the wizards formerly in the employ of the town elders set up shop on the site of the elvish settlement and began "doin' all sorts of nasty stuff" that resulted in even more innocent people being killed. The entire town itself would probably have suffered the same fate as the elves if it hadn't been for a few brave souls who set out to deal with the mess they had made and succeeded in killing and driving off the wizards. One of these men was Ragnar's grandfather, which might explain where the young man got the idea of adventuring in the first place. Unsurprisingly, Dordagdonar was intrigued by this story and, once the wedding party was over, asked his comrades to investigate the site of this former elven settlement. They readily agreed, since they intended to go in that direction anyway and they couldn't help feel that these events might have some connection to what was happening in Dwimmermount. Some of you might already have guessed that I was using this as an opportunity to sneak in a modified version of Jim Raggi's Death Frost Doom into the campaign. I'm not a huge user of prepackaged modules, but Death Frost Doom is good enough that I really wanted to import at least some of its ideas into the Dwimmermount campaign. As I said, I've changed a number of elements to better suit my own style and that of the campaign, but the general outline remains the same. Close to the former elven village, the PCs encountered crazy old Zeke, a trapper formerly from Smerdlap's Crossing, who's taken up a solitary life close to the site of the atrocities of decades previous. He was able to confirm some of the information they'd learned back at the wedding and added a few of his own, particularly that the aforementioned dark wizards had engineered the calamities that had befallen his home town and were using the townsfolk for their own ends. This didn't really come as a surprise to any of the characters, who started to ponder rationales for everything that had happened. This led them to the conclusion they needed to investigate the ruins of the elven settlement, something Zeke urged them not to do. Ignoring Zeke's warnings, the party set out for the ruins to discover a large collection of graves all over the area surrounding the former village. They also found a rift in the ground that gave off a foul odor. They briefly toyed with descending down into it but thought better of it once they noticed a still-standing building amidst the graves and ruins. The building appeared to be a shabby-looking cabin but there were odd details to it -- unbroken glass windows, for example -- that unnerved them. It didn't look like anything they'd ever seen and the strange mismatch of materials used to construct it only added to their sense that something "wasn't right." They entered the cabin anyway and inside found more oddities, such as a mechanical clock and evidence that someone else had been inside in fairly recent times. They also found a huge tome bound in the skin of something that was written in ancient Thulian and was entitled "Offerings to Thule" (thank you read languages). This confused and worried Brother Candor, since he'd always assumed that "Thule" was merely the name of the northern island from which the Thulians had originally come. Now he started to think that perhaps Thule was the name of something else entirely, after which the island may have been named. After a bit more investigation of the odd cabin, the session ended. I was a bit disappointed we didn't get further into Death Frost Doom, since I'm very interested in how my players will react to it. I'm also having a lot of fun reworking bits of it to suit what I've already established about my setting. One of the real joys of the way I referee is that it's very easy to add new elements, since so little is nailed down. I'm very fond of throwing out unexplained references, hints, and other clues that I can pick up later or not, as the needs of the campaign require. It demands a certain amount of mental nimbleness on my part, but I have a lot of practice doing it. I'll admit upfront that it doesn't always go as smoothly as I'd like, but, when it does, the result is far more satisfying to me than simply using game materials as written. As a referee, I like to feel as if I'm as much a player as those with PCs and, to do that, I need to surprise even myself. Over the years, I've found the best way to do this is to let the dice fall where they may and to avoid too much preparation and planning. It's all too easy for me to nudge things in the "right" direction if I spend a lot of time preparing for sessions and so I purposefully avoid doing so when possible.